Only a few months ago, the sense of optimism that reverberated around the vicinity of the Emirates Stadium was palpable. Arsene Wenger’s successor, Unai Emery, had reinvigorated the club. All of a sudden, the Gunners had an exciting future; one that was refreshingly impossible to predict. Fans had a man at the helm they barely knew but were willing to invest their faith in. Like the earliest stages of any relationship, Emery’s earliest encounters with the fans were slightly awkward, thoroughly polite and tingling with excitement. The Spaniard represented something enigmatic and new, after many years of more of the same, and he was exceedingly welcome. His arrival all but bridged the chasm between the various factions of a fanbase that had been growing increasingly divided for years. A 22-game unbeaten run in all competitions, the club’s best in over a decade, helped to calm everyone’s nerves, convincing many that the long-put-off realm of the unknown was in fact a warm, comforting place. That being said, Sky Sports’ October claims that Arsenal should be considered title contenders were premature, to say the least. Whilst those represented by the above tweets by no means represent the majority of the fanbase, and it must be remembered that there’ll always be a small section of supporters who go against the man in charge, this reaction to the West Ham defeat still felt significant. Most Arsenal fans remain onside with the Spaniard, but to have already lost patience with his methods is becoming an increasingly legitimate position to hold it would seem. With Chelsea up next for Arsenal, things could be about to get worse too. Defeat against the Blues would see Emery’s outfit fall nine points behind fourth place, making Champions League qualification via a top four finish a distinct impossibility this season. Arsenal fans’ frustrations are understandable. The manager’s admission that the club are only in a position to secure loan deals in this transfer window was a hammer blow to the supporters, who can clearly see that this squad needs major upgrades. The ongoing Mesut Ozil saga is another divisive topic. The club’s defence remains shambolic. The decision to make loan signings only in this window almost certainly does not belong to the manager. That is a situation he has been presented with and must now adapt to. Equally, much of the nature of the obvious tensions between himself and Ozil remain a mystery, but the decision to hand a huge contract to the German, that now makes a resolution to the current issue so hard to find, was not his call. Yet, Emery is currently bearing the brunt of many Arsenal fans’ ire. The Spaniard cannot be wholly absolved of blame, of course. He must adapt further to the Premier League and some of his tactical decisions and team selections have been questionable – and in a few cases backfired completely. However, he deserves patience and continued support. Emery is a good manager, with a fine track record, who in time can get Arsenal heading in a positive direction – as long as he is given the chance. That makes this weekend’s clash with Chelsea the biggest of Emery’s reign so far. He cannot afford his goodwill with much of the Arsenal fanbase to evaporate so quickly. Unfortunately, he is unlikely to beat Mauricio Sarri’s side. Should Arsenal fall to defeat against Chelsea, the fans must see the bigger picture. Emery inherited an unbalanced squad, has had little time and relatively meagre funds to improve it with, and is battling in a very competitive division. 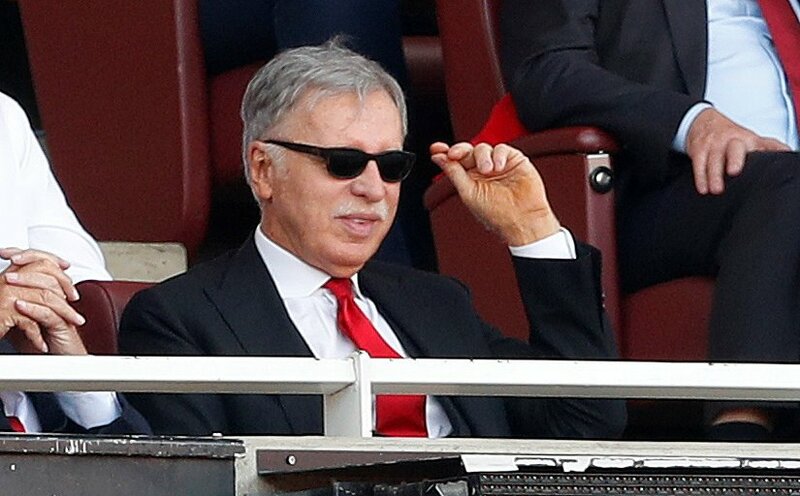 There has been so much upheaval at the club recently – the replacement of a legacy manager; a new corporate and managerial structure; a seismic change in transfer operations; overwhelming contractual situations to address; the myriad issues on the pitch; a new 100% owner in Stan Kroenke, the first in the club’s history. Unfortunately, a return to the glory days of Wenger’s early reign remains a long way off. That would be true no matter who is manager. No matter what happens against Chelsea though, Arsenal fans should stand by Emery. So they should in the game after that and the game after that. 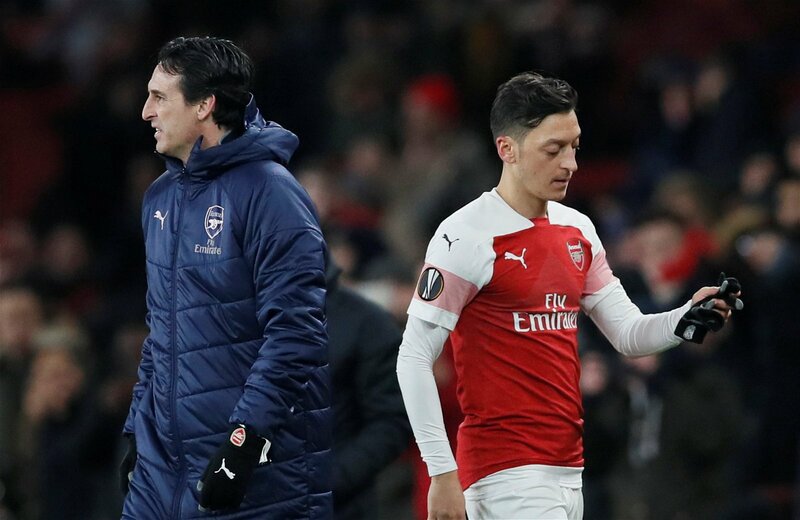 As an Arsenal fan myself, though, I fear that too much division and anger could soon creep back into our club and undo much of the progress that has been made during Emery’s short time in charge.